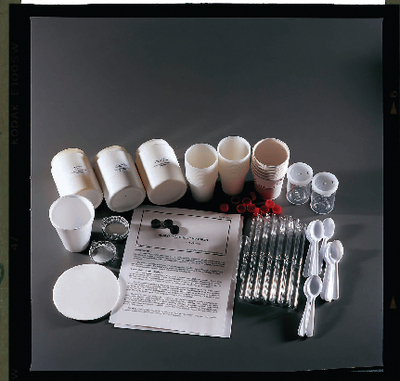 Different mixtures of solids are supplied, along with the means of applying five standard methods of separation: flotation, magnetic separation, solution and recrystallization, melting and resolidification, and shifting to give students a solid base in mixture analysis. They are challenged to examine a solid to determine which separation technique to use. If the first technique fails, they try again, and so on, until they succeed. You will receive enough materials for 30 students and instructions. A heat source, required, is available separately.